Unsane‘s story of a woman being possibly mad is nothing new, but director Steven Soderbergh (Logan Lucky, Haywire), brings a refreshing take to a story about more than just madness. 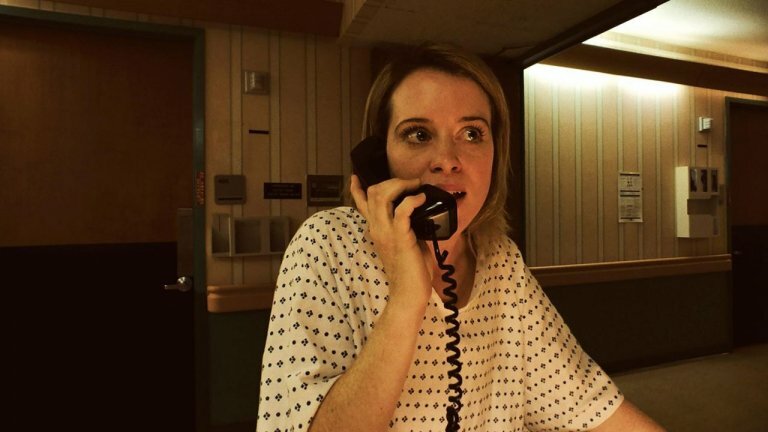 Shot entirely on iPhone, Unsane’s success lies in its nightmarish execution, where the events that unfold feel all the more real thanks to low-angled and close-up shots that put us front and centre. Soderbergh’s technical experiment is an achievement, proving that a great film can be made with very little equipment. As a film that shows the potential that waits in the hands of just about anyone, Unsane is a blistering accomplishment, but if you peel away the layers beneath, you might find the story itself to be problematic. Claire Foy (Breathe, The Crown) plays Sawyer Valentini, a woman who accidentally commits herself to a mental institution. At first, the story begins to question her sanity; has her stalker really travelled all this way? Has he really managed to get a job in this institution? Or is she simply losing her mind? Unsane is at its best when the answers to these questions are left unclear. As Sawyer realises how drastic her situation is, we’re treated to moments of sinister brilliance. Juno Temple’s Violet, who sleeps in Sawyer’s neighbouring bed, is excellently insane. She becomes a symbol for Sawyer’s future and an example of the result of being trapped, allowing for the questioning of this institution’s legitimacy. When the question of whether Sawyer is insane, unsane, mad or entirely rational is answered, the film begins to lose its steam. The truth rears its head far too early on, turning the film on its head into something completely different. This is when the already uncomfortable wit becomes difficult to swallow. The humorous edge leaving you cold as you realise that this tale has squandered the opportunity to be more and say more than it did. A woman in peril no longer seems funny as Unsane falls into that trap of presenting its female lead as a victim, as someone helpless and most criminally, a joke. Unsane‘s misplaced humour starts to wear thin and, in the end, left me cold as I realised that this story of mental illness, possible corruption and obsessive love should have been taken seriously. For all its thrills. brilliant performances and its technical achievement, Unsane is just not that impressive. It’s an extended gimmick with a great leading lady and it’s a shame that these parts couldn’t combine to create a greater, more streamlined whole.